Some of my favorite New Year´s words of advice from my Tica mother are, “Begin the new year traveling so that the following twelve months will be filled with movement and adventure.” Travel, for my family of immigrants in New York, was the real classroom. I have embraced travel my entire life and used it as a mandate in raising my children. Travel has many manifestations, but the three-day tourist experience has always been the least attractive to me. Spending summers with my abuelita in Desamparados, being a scholar-in-residence at the American University in Cairo, taking graduate classes at the University of Nairobi, Kenya, or working with hip-hop and visual artists of Black August in Havana, Cuba – these were the real ways, I believe, to become a global citizen. True travel rests in learning and respecting the nuances of cultures, languages, traditions, music and spiritualties, along with the recognition that human dignity is the basis for all global interactions. I am a focused observer in airports. I watch those who flaunt their ability to jet-set and those who remain invisible as they traverse borders and boundaries. I also wonder how others like me, an Afro-Tica, are perceived in global spaces. Where are we in the world? Are we imagined beyond Limón and the Caribbean coast? One of my goals for this column is to highlight the lives of everyday Afro-Costa Ricans who are living vibrant lives that inspire. One day, I noticed a stunning photo on Facebook of an Afro-Tica friend, Xiomara Carballo Briceno, who was part of my first Natural Hair Series last year. In the photo, she was sitting in a meditative pose in front of a towering terracotta temple which could only mean that she was in India. 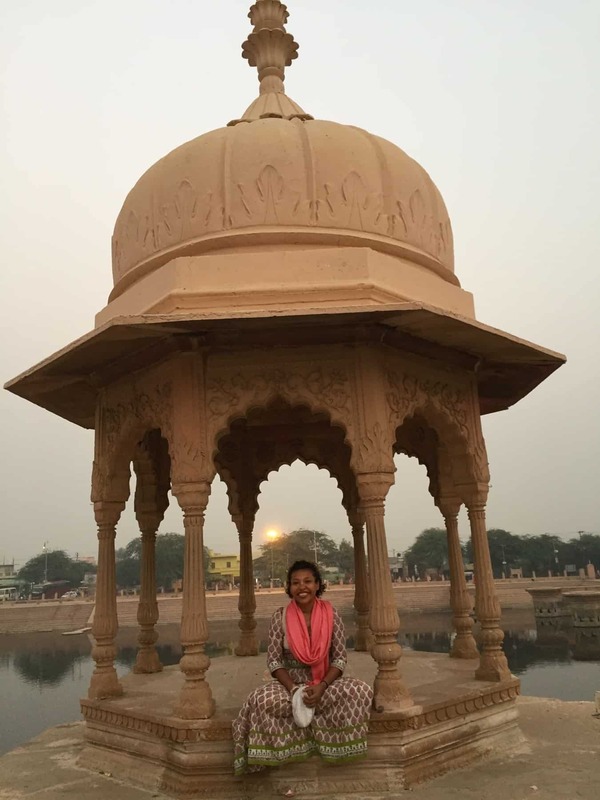 Since India has been on my bucket list for years, I marveled at how Xiomara had managed to manifest my own desires, so I reached out to discuss her personal journey of travel and activism. The story she shared was extraordinary but so very Costa Rican in the ways I love the most. Born and raised in a small town in Guanacaste, Xiomara always had a deep desire to travel, although there were very few opportunities in high school to leave Costa Rica. Part of her travel dream was to interact with other cultures and speak different languages. After high school, Xiomara looked for work and study opportunities abroad. She ultimately moved to San José and attended the University of Costa Rica, where she acquired a law degree with a focus on human rights and development. Little did she know that her travel desires and advocacy work would naturally align. As a lawyer, her first official job was a consultancy with the UN Development Programme to do participative planning with Costa Rican municipalities. During the subsequent three years, she held similar positions with other NGOs in Costa Rica. In 2013, she landed a job with CUSO International as a gender advisor to the regional government in San Martín Province, Peru. This part of the Peruvian Amazon had many similarities to Costa Rica with its very rich culture. She worked with innovative local women around gender advocacy. While she had envisioned only one year in Peru, Xiomara´s work was extended for another twelve months with the Roundtable for Gender Violence. Her work focused on gender mainstream planning and creating social policies that are sensitive to gender inequalities in an area with one of the highest rates of sexual violence in the region. Xiomara particularly encouraged the local government to become aware of the diverse realities of different populations, including numerous indigenous communities. Regional travel became part of her routine. Xiomara’s work with local women allowed her to attend a conference in Chiapas, Mexico in 2014. The meeting focused on an anti-racist, feminist agenda that brought together incredible Afro-descendant and indigenous women from the region; she was able to share perspectives that she had never had a chance to discuss before. How do women internalize discrimination and racism? How can women oppress each other while being oppressed themselves? These topics were fully examined at this gathering and changed the way that Xiomara understood the strength of intersectionality. Xiomara explained to me that it was in her travels and work with other women of color that she was able to define her own identity as an Afro-Tica. They also allowed her to appreciate the opportunities her mother had worked hard to provide for her as a child in Costa Rica. It was on her return to Costa Rica in 2015 that Xiomara solidified her spiritual practice as a devotee of Hare Krishna, a common name given in the West to the Gaudiya Vaishnava tradition from India. She had been raised in a Catholic family, but developed a spiritual that was unique and deeply intuitive. From a very young age she was drawn to India and its traditions. At times, it was difficult to feel a sense of ease in Costa Rican work environment that followed the trappings of traditional Catholicism. On many occasions, she found herself as the only Afro-Tica vegetarian non-Catholic in the workplaces she passed through. Many found this difficult to accept or understand. As a trained lawyer and natural grassroots organizer, Xiomara´s curiosity and intelligence led her to a long path of study which included philosophy and spiritual concepts. From a child, she has been practicing aspects of Hindi spirituality. In 2010, when a roommate invited her to the Hare Krishna temple in Cuesta de Moras, San José, everything melded into the right fit. Everything in their philosophy and practices made sense to her. According to Xiomara, “it felt like coming home.” She has been a devoted yet private practitioner since she was initiated in July 2011. In 2017, when she stepped away from her job because it no longer felt like the right place for her emotionally and spiritually, Xiomara was able to spend more time at the temple. There, she was mentored by a visiting Hare Krishna nun from India, Srimati Uma Didi, who foresaw that Xiomara would find the right job that would take her to India. At a friend’s urging, Xiomara applied for a position with the International Indigenous Woman’s Fund (IIWF), part of a larger political platform created fifteen years ago in partnership with the South Asian Women Fund, the African Women’s Development Fund, and the Women from the South Fund. Within 24 hours after she submitted her application, she was contacted about a job. She has now worked remotely with the IIWF for more than six months with women from all over the world. As the Monitoring and Evaluation Officer to one of the fund’s programs, “Leading from the South,” her specific task is to support capacity strengthening for both the Program and its indigenous women organizations’ partners as they develop community projects related to women’s Human Rights, moderate and mentor women who apply for funding for small business and community projects through The Fund. As the only member of the Costa Rican team, Xiomara works online, though there are different international commitments and yearly meetings based in various countries around the world. And that is how Xiomara made it to India for six weeks in October 2017. 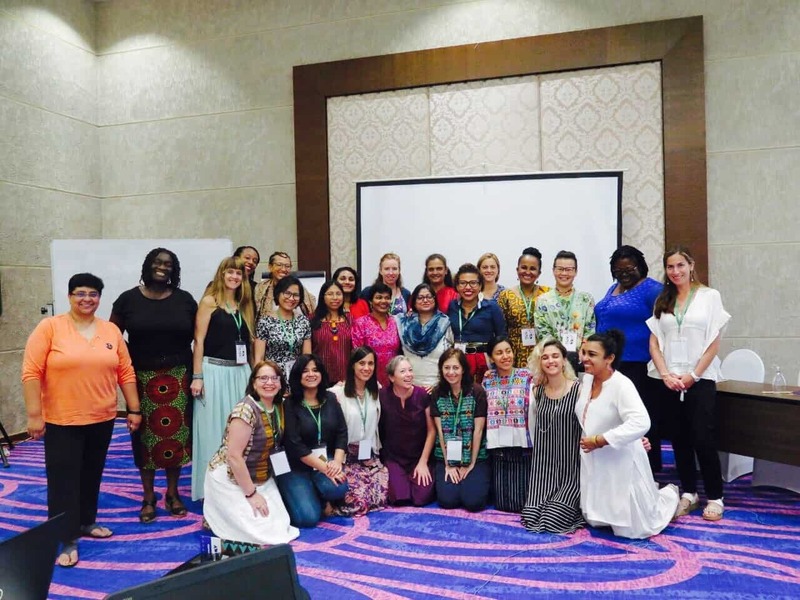 Newly hired, Xiomara was invited to attend the Fund’s annual three-day meeting in Sri Lanka in October 2017. 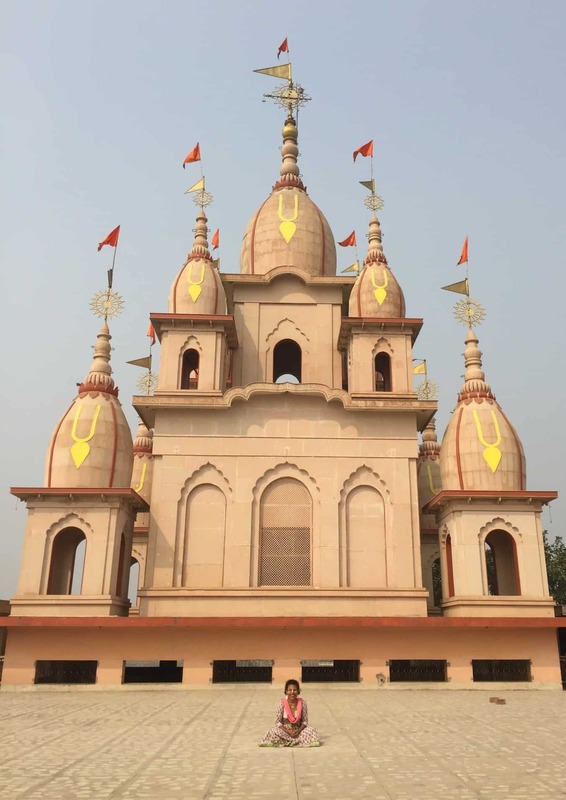 With the full approval of her boss, Xiomara stayed at a temple of the Gaudiya Vaishnava tradition (a monastery for religious retreats) in Vrindavan, Uttar Pradesh, India for six weeks. 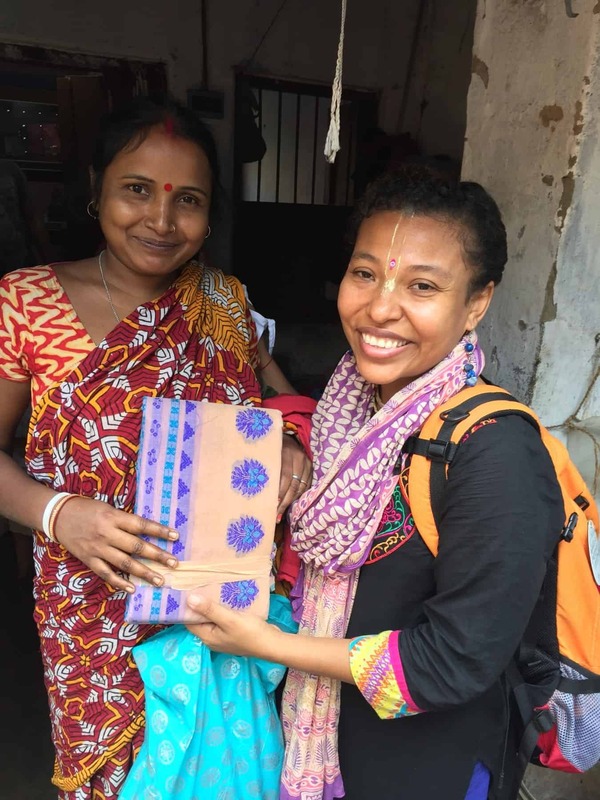 Since her work can be done online from anywhere with an internet connection, Xiomara was able to balance multiple spiritual activities, including a pilgrimage to sacred sites, listening to spiritual teachings at the temple, attend the three-day conference in Sri Lanka, and travel to West Bengal and Calcutta by herself. Humbled by the bravery in Xiomara’s travel journey as well as her clear commitment to gender equity advocacy, I closed our discussion by asking her how her work and travels affect her identity as a Costa Rican. “Before I went to Peru, I always thought of myself as someone who could not identify with my Costa Rican identity,” she said. “I have always been with people from different parts of the world – always in a global community. I never imagined myself living outside of the country for so long. Coming back to Costa Rica reassured my identity as a Tica. These are my roots that I grow out of. My branches can go anywhere but my root is here in Costa Rica.